India is known as the “union of states”. Every state has its own distinct climate, art culture, clothing and food habits. This is the reason that every Indian state has its symbols for its identity. 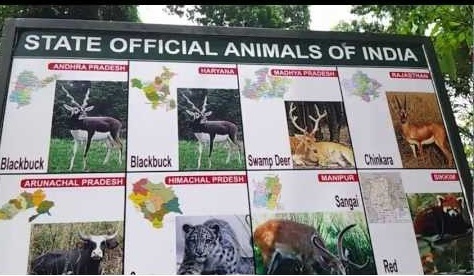 In this article we have covered the name of different animals and birds of all the Indian state. India is known as the “union of states”. Every state has its own distinct climate, art & culture, clothing and food habits. This is the reason that every Indian state has its symbols for its identity. In this article we have covered the name of different animals and birds of all the Indian state. In most of the states it is crime to kill a state animal or bird. These state animals and birds are the eminent part of the biodiversity of India and that particular state. State animal of Rajasthan is camel while Indian Bustard is its state bird. State Animal of Telangana is Chital and state bird is Indian Roller. Read more:State Animals and Birds of India , State Symbols of India , Indian State Symbols , telangana state bird , state animal of rajasthan , state bird of Maharashtra. Next Story Do you know the security arrangements of the Prime Minister of India?